ISSN=2342-0723. June 2018, Appendix figure 1. Year-on-year change of large enterprises, trend series . 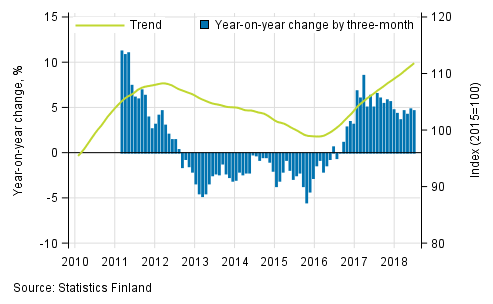 Helsinki: Statistics Finland [referred: 20.4.2019].